This original design is hand-painted on 18 mesh mono canvas with acrylic paint. It can be stitched up and made into a framed piece, a pillow, a tablet cover, or anything you would like. The painted part of the canvas measures 7″ x 9″. 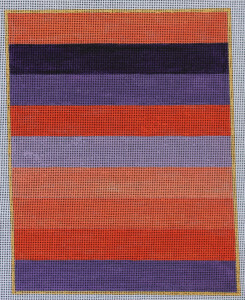 The design includes three values of purple and three values of coral in a playful stripe. 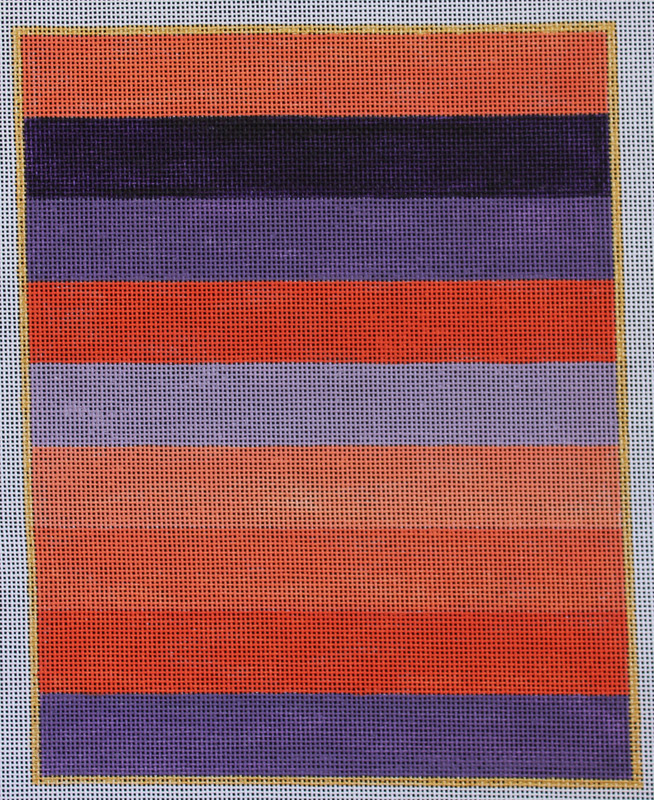 A small gold border is around the edge of the stripes. A stitch guide by Cynthia Thomas is available for purchase and my be found by clicking here.